When I was a kid, I cherished every single color crayon in my possession. It may have dismayed me greatly when one broke unexpectedly and had to be sharpened because that meant that crayon losing its full coloring potential. So you can understand that parenting a boy who relishes the opportunity to purposely break every crayon he comes in contact with is building my character and patience. Often. And we have a lot of broken crayons. Yesterday I was looking at the bin of brokenness with anguish. Hundreds of broken crayons. Literally. I salvaged 13 whole crayons out of countless bits. So, in an effort to redeem that sorry little rainbow, I set to give our crayons new life. And you can, too! It is so easy and fairly painless, if you don't mind peeling away a few labels. It's not bad busy work for the preschool crowd, either. My two little helpers and I got to work, and we were ready to give our crayons new life in no time. Just grab a mini muffin tin and some liners. 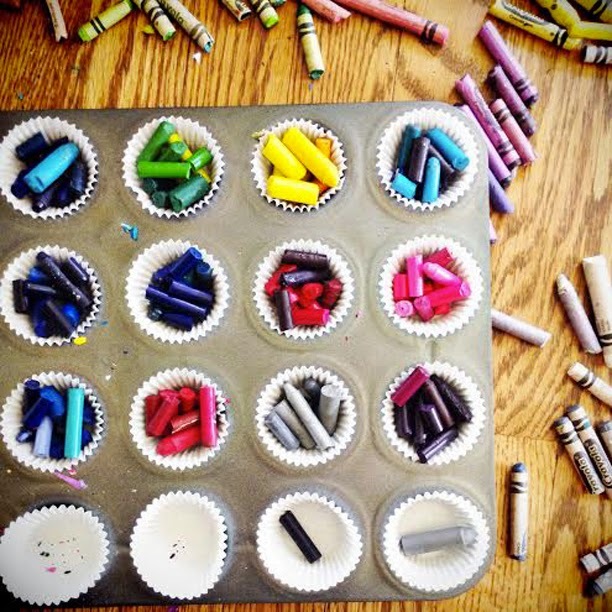 Sort your crayons by color and peel off the labels. Distribute broken pieces evenly - you'll want to fill them to the top. 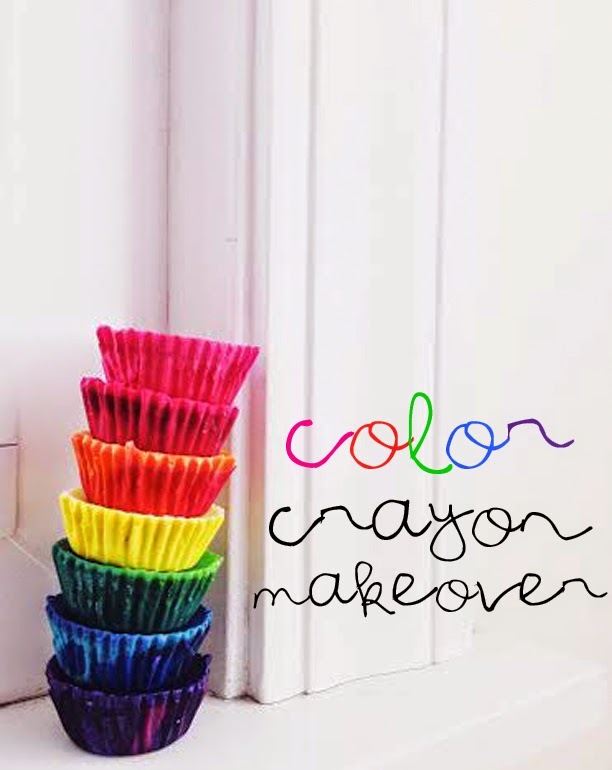 You can mix your colors for some fun, swirly, tie dye crayons, or match them up. Preheat your oven to 275 and bake for about 10 minutes, until all the pieces have melted. Let your pan cool on the counter for a few minutes, then pop the whole tin in the fridge until they're completely cool and solid. (If you pull them out too soon, the liners will be hard to peel off.) 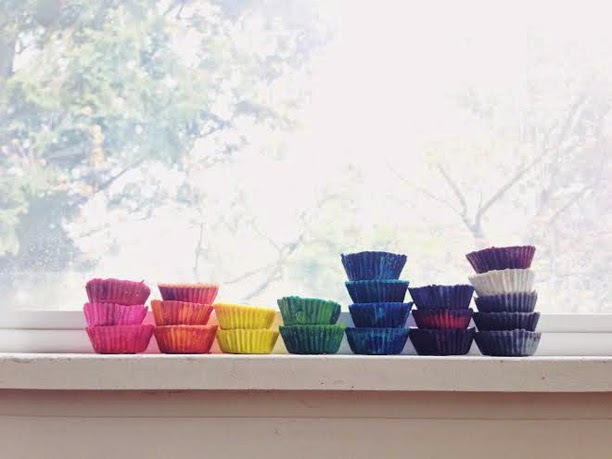 Pop them out of the pan, remove cupcake liners and voila! The added bonus is that these little beauties are practically unbreakable. Which works out well in our house. Have fun and make something pretty!